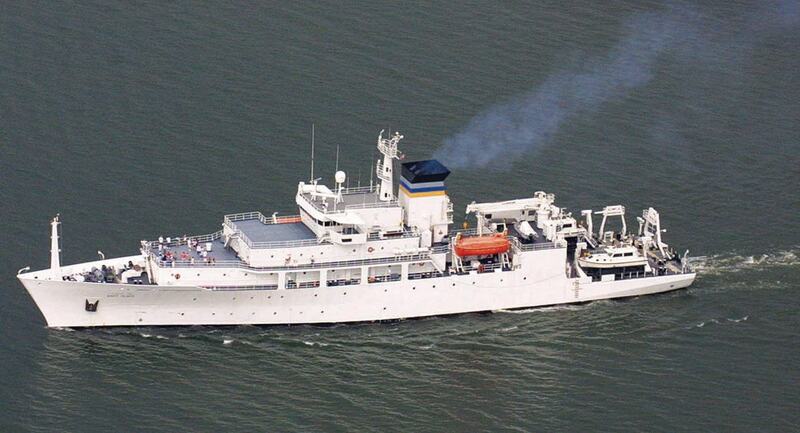 In posthumous recognition of her service, the U.S. Navy in October 2000 launched the 300-foot USNS Mary Sears, one of seven such vessels that continuously probe the oceans. 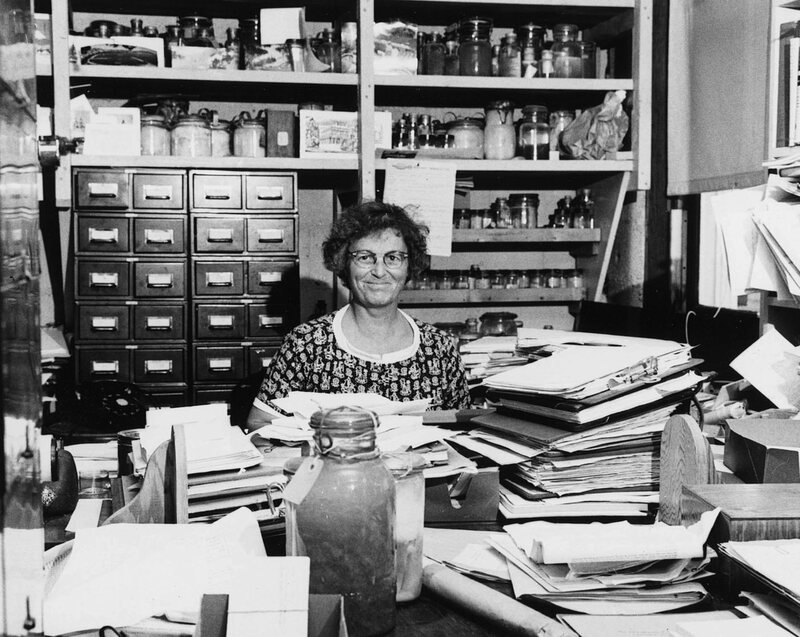 As a child, Mary Sears ’27, Ph.D. ’33, collected plants and animals on the bogs near her home in Wayland, Massachusetts, where she maintained a large terrarium. Turtles were her favorite. Thus grounded in biology, and enhanced by enthusiasm, curiosity, and a fine mind, her course was set. She wrote her dissertation on melanophores, cells that confer colored patterns on many organisms, including box turtles. Her adviser was Henry Bryant Bigelow, the first director of the new Woods Hole Oceanographic Institution (WHOI). She focused next on ctenophores (comb jellies), microscopic carnivores that disproportionately influence the marine ecosphere. While teaching at Wellesley (1938-1943), she joined the “Harvard Yacht Club,” the core of WHOI; its aim, grounded in an integration of physics, chemistry, and biology, was a synoptic study of the ocean. She impressed her new colleagues with her ability to pull crucial facts out of the box and chase contradictions down to resolution—and when meetings adjourned to the fishermen’s bar across the street from WHOI, she joined the animated conversations with a glass of Black Label in hand. In the years before Pearl Harbor, Sears had increased her broad command of ocean sciences and when war began, feeling “very full of patriotism,” she volunteered for service despite her age (almost 40), arthritis, and gender. 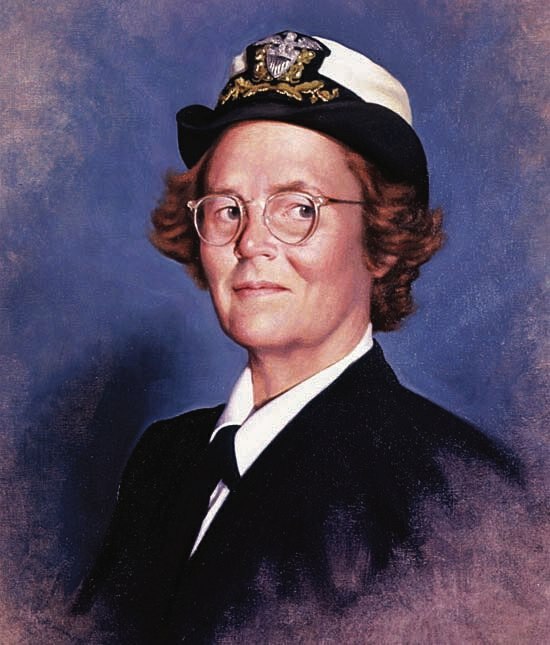 Fellow oceanographer Roger Revelle, already on duty in the navy’s Bureau of Ships (and later Saltonstall professor of population policy at Harvard) arranged her induction into the WAVES, the women’s division of the Naval Reserve. In April 1943 she became head of the new Oceanographic Unit (OU); it was understaffed, poorly supplied, and assigned menial research. The November 1943 attack on Tarawa profoundly changed Amer­i­­can strategy. After Admiral Chester Nimitz’s massive armada had shelled the islet, 18,000 U.S. Marines attacked the 4,000 Japanese defenders. But U.S. intelligence was faulty. With the moon in apogee, tides were at their lowest: in the unexpectedly shallow water, landing craft grounded far offshore or stranded on submerged coral outcrops. Rifles held high, the marines slogged into a withering Japanese fusillade that left 3,500 dead or wounded. The U.S. press chalked the heavy losses up to unexpectedly fierce resistance. The inept reconnaissance was top secret. Navy brass had resisted putting women in uniform, but after Tarawa, pragmatism prevailed. The Joint Chiefs of Staff expanded Lieutenant Sears’s unit to 400 personnel. (A naval destroyer had a complement of 300.) She explained, “Given good weather data, one could forecast wave conditions and surf height…for the obvious advantage of amphibious landing operations.” The OU collected raw data from Allied vessels and shore stations, processed it, and passed it on to units in the field as ordered. Sears also had relevant Japanese oceanographic material published during the 1930s translated into English. Nimitz’s strategy was to neutralize the majority of Japanese-held islands in the central Pacific by incessant bombardment, and restrict landings to key strongholds. Only President Roosevelt and the Joint Chiefs knew the targets in advance, so Sears had to supply appropriate intelligence for all possible targets. (“Military necessity does not wait for explorers and scientists to accumulate sufficient information,” she noted later.) When Nimitz targeted Iwo Jima, the errors of Tarawa were not repeated. The OU’s data supported as well the underwater offensive that crippled Japanese warships and its merchant fleet. Submerged submarines run in a dark, silent column of water; analyzing this complex mix of currents, salinity, and density aided navigation and, most important, evasion of the enemy. In the Battle of the Philippine Sea, American subs sank Japan’s two most advanced aircraft carriers, a rout that led to the seizure of Saipan’s airfields, enabling daily B-52 bombing of Japan itself. Duty done, she returned to WHOI to become founding editor of Deep-Sea Research, still the most distinguished oceanographic journal. Roger Revelle called her “the conscience of oceanography,” reflecting the seamless boundary between her ideals and her actions. During the war, she had often stayed up all night doing tidal calculations; back home, she devoted some of that energy to elective offices. An active, principled politician, she served as chair of the Falmouth School Board, as a selectman, and as chair of the Republican Party of Cape Cod. She lived simply, going to bed early, rising at 5 a.m. to answer letters and study languages, and (from May to November) swimming for half an hour after sunrise at Nobska Beach. When an aspiring female oceanographer once asked what barriers she had encountered in her career, Sears smiled and answered, “In [Harvard’s] Museum of Comparative Zoology, the ladies’ room was on the fourth floor.” But in science as in the war, she said, “We were working so hard for a common cause, I was hardly aware of any barriers.” With quiet charisma, she counseled the young women scientists whom she invited to her table to do the job, stand firm, and simply refuse to be pushed aside. Peter Denton ’63, whose own Ph.D. is in molecular genetics, knew Mary Sears as a close family friend.